How do I contact the MegaHub Customer Service? Please contact our Customer Service Hotline by telephone at +852 2584 3820, by fax at +852 2584 3801 or e-mail at cs@megahubhk.com. The hotline is open from Monday to Friday, from 08:30am – 17:30pm, except for Hong Kong public holidays. Can I login to multiple devices for access to PowerTicker and MagicTrader? You are welcome to install PowerTicker and MagicTrader and access them on multiple devices. Please note that a login ID cannot be used for simultaneous or duplicate login. 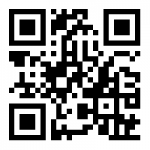 Please click here to login to PowerTicker web version. Please contact Customer Service at +852 2584 3820 or send an email to cs@megahubhk.com with the subject line: Account Assistance. Our Customer Service representatives would be happy to assist you. Please send an email to cs@megahubhk.com with the subject line: Password Change. 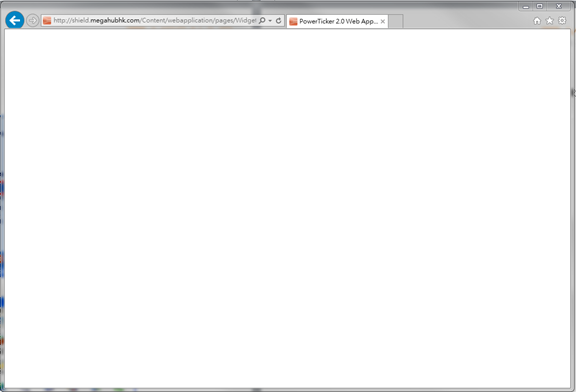 Why is PowerTicker not loading in my Google Chrome browser? Please note that effective September 2015, Google Chrome will no longer support Java, which is required to run the PowerTicker web version. We recommend using Internet Explorer 8.0+, Firefox or Safari instead. Please refer to System Requirements for PowerTicker. What are the system requirements for PowerTicker web version? What are the system requirements for PowerTicker download version? What is the difference between the PowerTicker subscription plans? 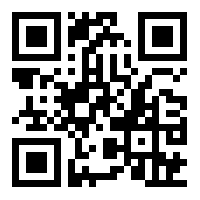 We offer Basic and Professional Packages in web and download versions. Please refer to the “Plan Comparison” section of PowerTicker. Can I subscribe for PowerTicker through my brokerage firm? MegaHub has partnership agreements with selected brokerage firms to provide terminals with trading platform integration. Please check with your brokers if PowerTicker is available. My browser window is frozen after a login attempt. What are the possible problems and solutions? A. 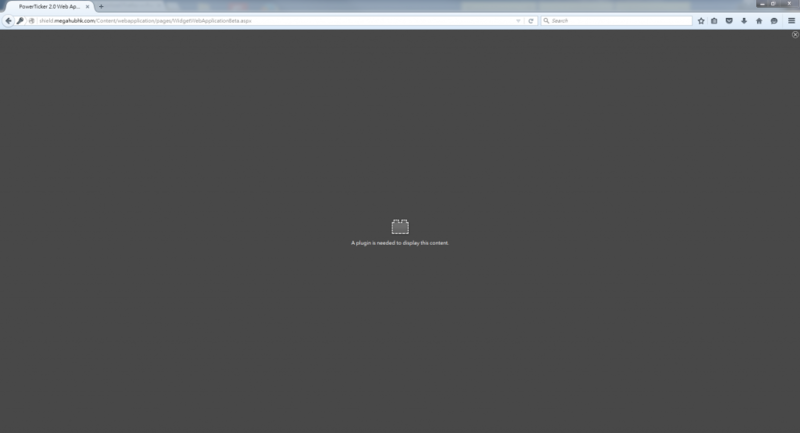 If you see the below screen when you attempt to login, you may need to install the Sun Java JRE application. 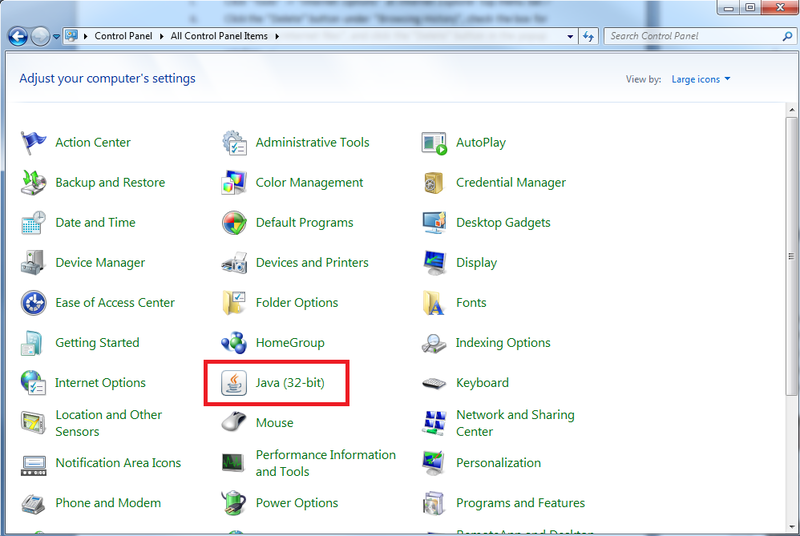 Click here for instructions on how to install the Sun Java JRE. B. Are you accessing internet via Firewall or a Proxy server? For computers behind a firewall or proxy server, TCP/UDP outgoing ports 6006 and 443 must be opened, as the user’s computer can establish a socket connection with our servers via the proxy server. If you have any inquiries about the setting, please contact our Customer Service Hotline by telephone at +852 2584 3820, by fax +852 2584 3801 or through e-mail cs@megahubhk.com. 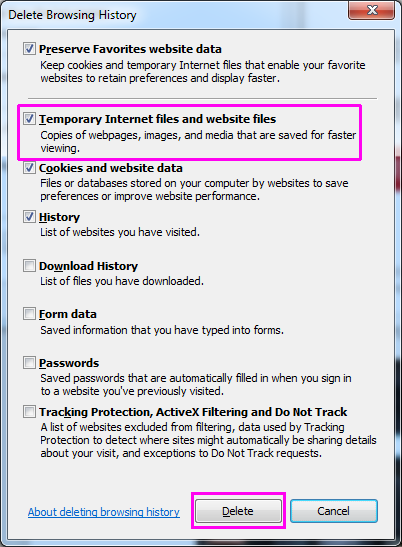 C. If you are using Internet Explorer, your temporary files may be corrupted. Please follow the steps below to clear the corrupted files and the program will reload the files again. 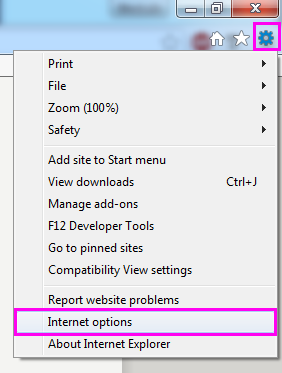 Click “Tools” -> “Internet options” at Internet Explorer top menu bar. 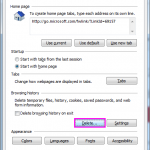 Click the “Delete” button under “Browsing History”, check the box for “Temporary Internet files and website files”, and click the “Delete” button in the popup window. Please restart Internet Explorer after the process is completed and you can try to login again. Note: If you still experience technical issues, please contact our Customer Service Hotline by telephone at (852) 2584 3820. The hotline operates from Monday to Friday, 8:30am to 5:30pm. Why did the response become slower after I switched between different modules in PowerTicker? 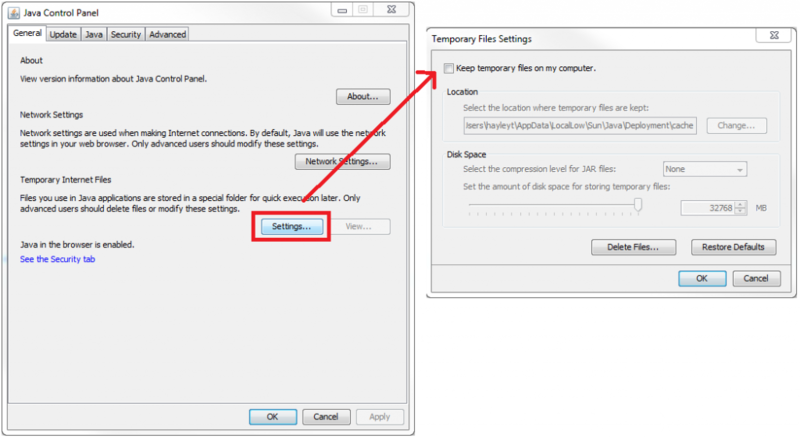 Sun Java might be low in internal storage space or corrupted. 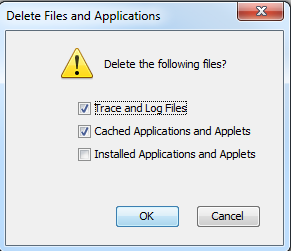 Check the box for “Trace and Log Files” and “Cached Applications and Applet”, then click “OK”. Please restart computer to make the changes effective. What are the system requirements for MagicTrader? 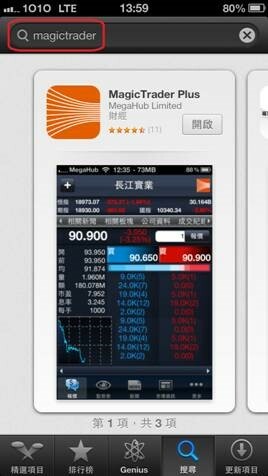 Note: MegaHub is not responsible for any compatibility issues arising from using the application on an iOS device that has been jailbroken or an Android device that has been rooted; from some ports being blocked by Anti-Virus application; or from Task Killer blocking the application from running. Do I need a subscription to use MagicTrader? MagicTrader is available to PowerTicker subscribers for free. Users can access MagicTrader with their PowerTicker login ID and password. 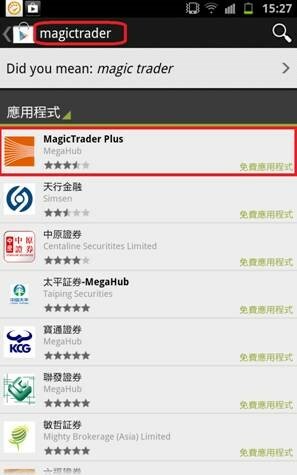 How do I install MagicTrader on my device? 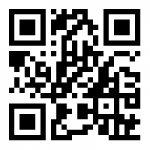 To download the iOS application, please click here, scan the QR code below or search for “MagicTrader” in the App Store. To download the Android application, please click here, scan the QR code below or search for “MagicTrader” in the Google Play Store.